Talking about wallets, the leather and metal are two best options for a stylish and expensive look. However, they are just perfect for some special occasions which you need to show up your characteristics and personal taste to the publicity. 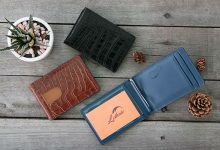 When it comes to a casual use, a durable, comfortable and easy maintenance are three priorities to choose a wallet. From that point, a canvas is an ideal option. Don’t think that they are as out of fashion as they were in the past. Nowadays, many brands have overcome this drawback to release various sleek and functional designs. 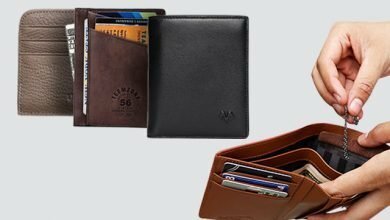 Here, I’ve rounded up 10 best canvas wallets. Let’s have a look! 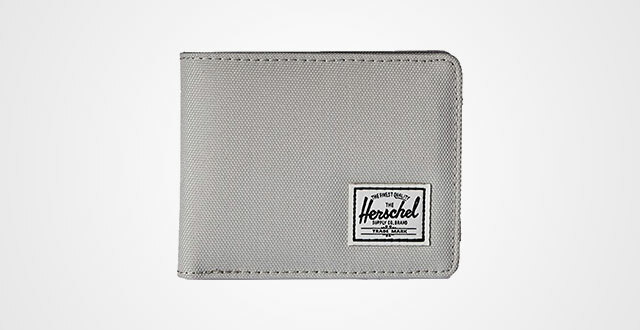 We will start with this Herschel canvas purse! 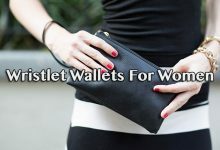 This is a wallet made out of 100 percent polyester, which significantly cuts down its weigh a lot to carry around without burden like the leather. 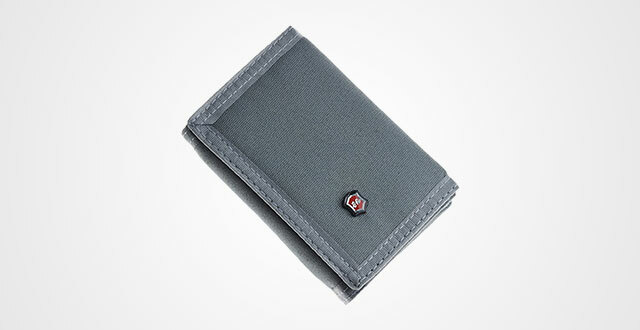 If you prefer to choose a lightweight wallet for comfort, I highly recommend this. Its material is also very durable and on top of that, waterproof. You can carry it along on rainy days with no fears of your belongings will get wet and damaged. Besides, its inner material is polyurethane foam. For those who don’t know, it is usually used in mattress and car seats because of its striking comfort. I personally don’t like its brand logo in the front as it’s too big. However, because of its superb quality, I highly recommend you to rock it at least once. In terms of capacity, nothing’s special. This Herschel comes up with moderate storage and organization with 6 card slots and 3 slips to keep your vital possession neat and secure. But, something I really like about this wallet is its slim and compact silhouette. Measured by 4.25” x 3.5”, it can fit any pockets without bulk. Good! I know that some of you may look down on this Jeminal canvas wallet mens because of its Velcro style. However, look at this, it doesn’t look out of fashion at all. There are 4 trendy and easy-to-mix color options: army green, black, blue and grey. Not saying that this Jeminal also follows the hottest trend in fashion world – minimalist and simplicity. From its outer performance to the convenient, streamline interior, it’s perfect to lighten up any casual outfits and nail your style. Besides, I myself particularly like the Velcro strap as it’s very soft and comfortable to stay in my back pocket or sit on, unlike the money clip or the button strap which is quite hard. On the other hand, its storage is spacious and neat enough to fit up any loads of possessions as well as manage them in place. Moreover, you can quickly access the card or anything you need in just a few second. Plus, the canvas material is thick, durable and longevity. For me, this is a great choice to beat it up. 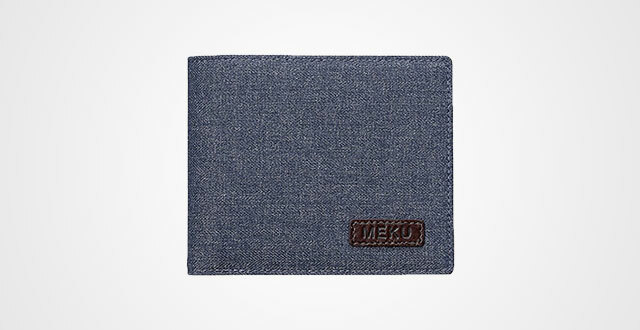 Contrast to the Herschel, I like the outlook of this MEKU for its small brand logo, looking very subtle and elegant. Besides, its color scheme is very easy to mix and match with different outfits, especially the casual. 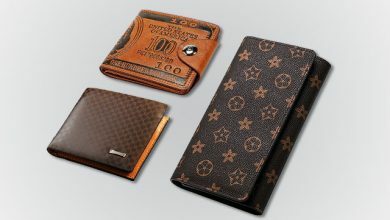 The whole wallet is made from polyester, but just the logo brand is from genuine leather. This combination is perfect for an expensive yet elegant look. One of the Best Canvas Wallets that meet my taste! It also arrives in moderate size to fit either our front or back pockets as well. Measured by 4.4 x 3.6 x 0.5 inches, however, its capacity is no joke. 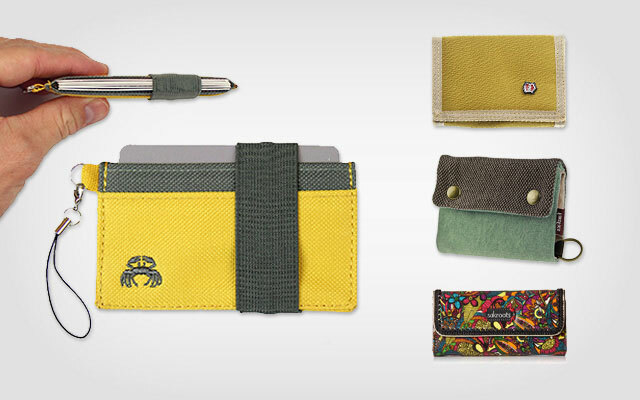 There are up to 5 card slots, 2 bill compartments, 1 zip-around pocket and 2 slips. Another good thing about this wallet is its built-in RFID Blocking Technology. In modern time, this feature is worth considering when buying a new wallet as it helps to prevent our vital information against being hacked by hi-tech thieves. 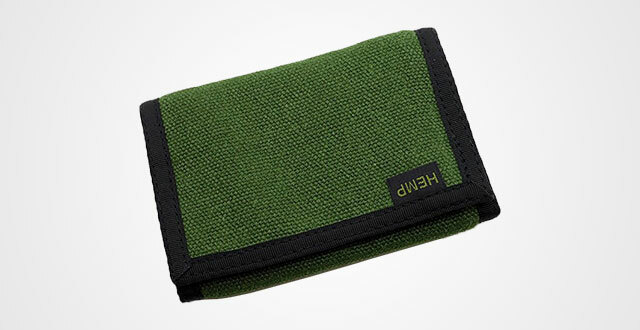 Next up is a canvas trifold wallet from Hempmania. Truth to say, this is one of the top-quality product in mid-range price on the canvas world. Utilized entirely eco-friendly hemp canvas which is arguably the softest material with striking durability that often used in upholstery. Plus, its measurements are only 14.9 x 5.2 x 1 inches, it can fit anywhere. Back to front pocket, chest pocket, your bag and handbag. On the other hand, its colorway is nice. There are various options to meet any tastes, ages and genders, from men, women to boys and girls. 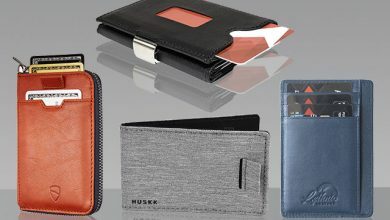 Its inner construction is also very streamline and large with 1 vertical zippered pocket, some card slots, 1 ID window and 1 full-length compartment. It’s a good piece to try! One to rock, one to stock. Yes, it’s this bifold Jeminal! 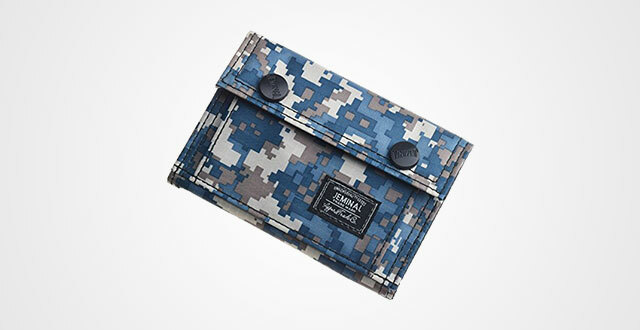 Measured by 3.54 x 0.59 x 5.12 inches plus the modern, stylish and trendy camo printed, this is a must-try wallet of the year, guys. Nobody can’t deny its compact and striking slim silhouette. Moreover, its canvas material is very durable, lightweight and comfortable hand-feel. Besides, if taking a closer look, you will identify how well-made it is. Double stitching, strong seams, great threads and subtle buttons straps with beautifully embossed brand name. Despite its slim profile, don’t quickly judge a book by its cover. This wallet includes 6 card slots, 1 cash compartment, 1 ID window and 1 zippered pocket to keep up your every carry neatly and safely. Nothing to complaint on this wallet for it’s A+ performance. The world is rocking minimalist wallet like crazy, so why don’t we? In terms of canvas, I highly recommend you to try this Crabby. Its material is truly on top, very soft, flexible and durable. Touching its texture, holly crap, you will understand why this brand is mostly favorited by its quality. This is not the ordinary polyester canvas, but the premium 600D polyester canvas with striking pliability and flexibility. No matter how much you stretch it, the material can return to its original shape nearly immediately. 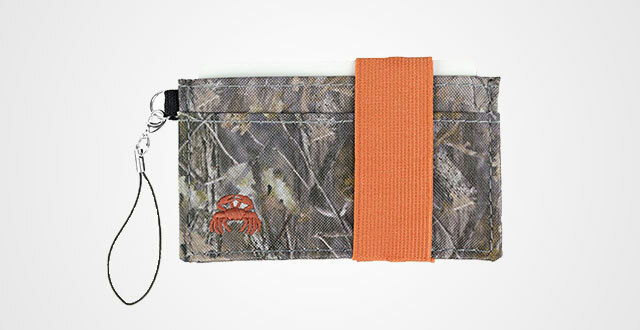 Because of its flexibility, though there are only three main compartments, this Crabby can fit up a lot of stuff such as 10 cards and a couple cash with no fears of they falling out. For extra protection, they also add one elastic band as well. I like its small key ring on the side. It’s convenient as you can connect this small wallet with your keys or hook it to anywhere needed. Who can say no to this breath-taking Sakroots coated canvas handbags? 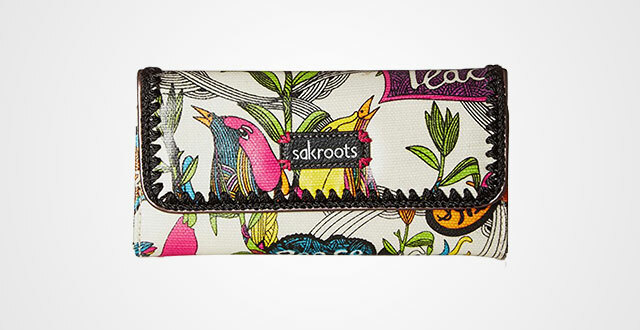 Figure as a trifold wallet, with beautiful art printed on the frontside, plus a nicely brand logo, this product is made out of coated canvas with thick, sturdy yet soft and comfortable texture to surely serve you for years. 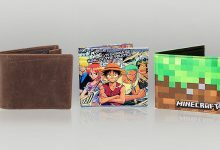 Besides, the wallet is lined with a polyester layer, which makes this wallet really lightweight and convenient. Come up with 7 inches wide and 3.5 inches high, it can fit any jacket pocket or back pocket nicely. 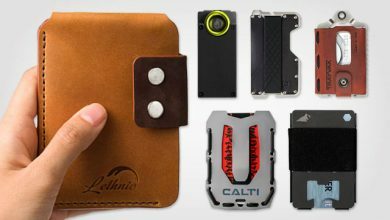 If you are curious about its interior, there are 11 card slots, 4 hidden slips, 1 ID window and 1 zippered pocket. It’s large and streamline enough to keep your stuff neat and secure. Not saying that there is another compartment on the outsides where you can fit up your regular cards or small changes for quick access. In a word, this is a worth-trying wallet. You won’t regret, for sure! 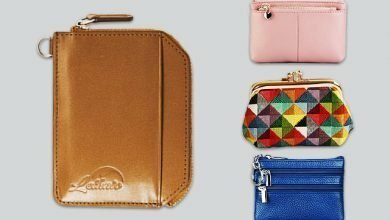 LoveShe canvas wallet womens is a wonderful choice for those women and girls who love unique patterned canvas wallets. Its material is very comfortable and soft to touch. Besides, it’s thick and secure enough to provide the optimal protection to our possessions. What I really like about this wallet is its ability to keep up my smart phone. Measured by 4″ wide 8″ high 1″ thickness, it has 3 spacious full-length compartments to fit up long and huge stuff like cell phone, bills, receipts, tickets and coupon. 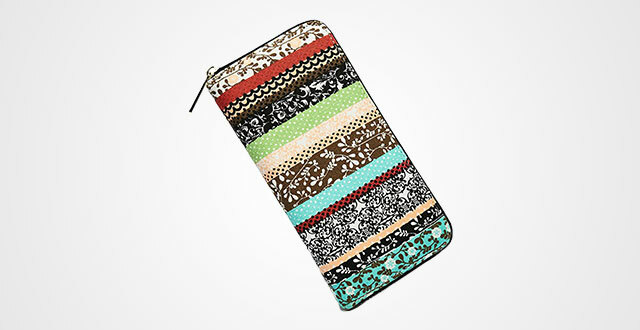 Besides, it also has 8 card slots, 1 zippered pocket and 1 ID window to streamline your stuff as best as possible. On the other hand, a compliment for its zipper, very durable and smooth. I like it! This is one of the Best Canvas Wallets that is particularly suitable for those who are obsessed with small, cute objects. Though the manufacturer said that it was made for both male and female, I personally think it’s better for female. Look at its outer performance, very cute and feminine, right? There are many colorways to choose: deep blue, green and light blue. Something I am really impressed by this wallet is its capacity. It can accommodate up to 20 cards and some more stuff like that without bulk. Besides, its compact silhouette allows you to put almost anywhere, from the back to front pockets, even your chest pocket or jacket pocket. 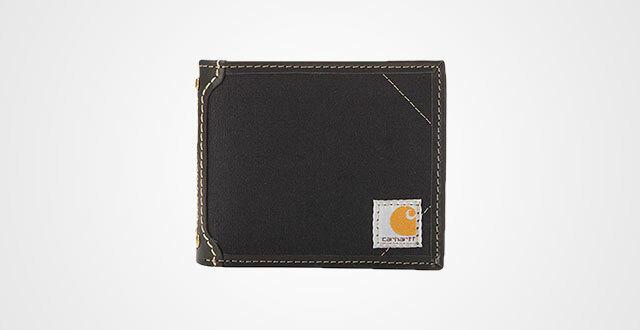 The very first impression of mine for this Carhartt Wallet is its sturdiness and great holding up as apart from canvas material, this wallet also has leather trims as well as reinforced spine with rivets. Besides, its simple and elegant outer performance is another plus point. The wallet matches perfectly to many outfits. You can go with casual style or more dress up clothes. Perfect! 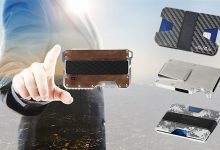 For those who are wondering about its construction, this wallet includes 1 ID window with smart thumb strap for quick access, 3 card slots, 2 flips and 1 cash compartment. Measured by 6.1 x 5.4 x 2.1 inches, it is compact enough to stay neatly in your pockets whereas large enough to fit your belongings without tightness or bulk. 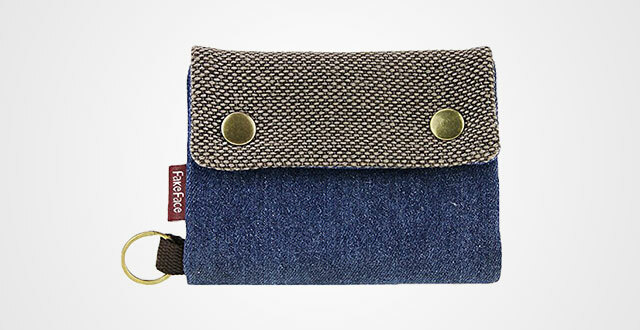 In other words, canvas wallet is a must-have item for the next best accessories in any wardrobe. However, you need to consider many elements such as your requirements, purpose, needs and demands to pick the best canvas wallets. Understand that, this article lists out various styles, colors and designs to meet many tastes. Hopefully, you will pick at least one from this collection.